Sign the LRDG Guest Book!! 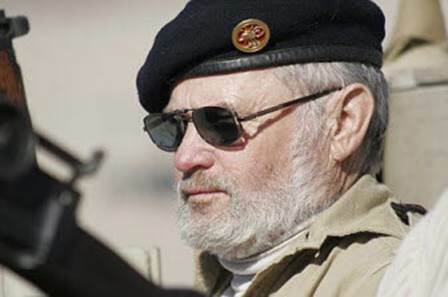 Drop Jack a note if you want to trade links related to LRDG, WWII, living history, etc. 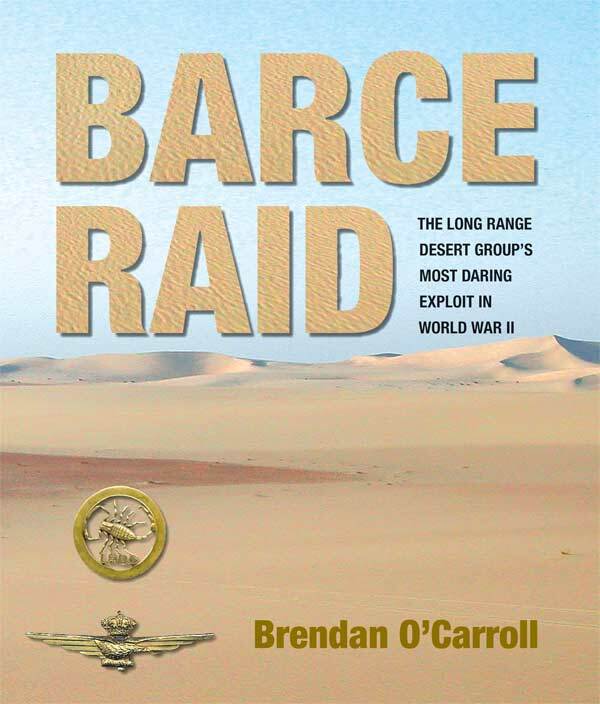 Again available in the U.S. "Kiwi Scorpion" the first work of noted LRDG author Brendan O'Carroll has been republished in an extremely limited quantity. Originally published in 2000 this 2nd printing is the same as the original with errors corrected and new information included. The chapter on "The Assault on Levita" has been rewritten with more details. Do not miss this opportunity to get one now. I have limited quantities on hand for immediate shipment. LRDG Preservation Society price of only $79.95 plus postage (US only). Send email to lrdg@Prodigy.net to get a copy. Available for $48.00 Post paid within the U.S. See Jack's book review! The song "Lili Marlene" was very popular with Germans soldiers during WWII, but not liked by official Germany. "Lili Marlene" was also popular with allied forces in all theaters of the war, but frustrated Brit officers when their troops sung the German version. Come visit and join our new Facebook group called: "Long Range Desert Group (LRDG) Preservation Society" (link: http://www.facebook.com/home.php?#/group.php?gid=156542796560). If it works out OK we'll keep it going. Let Jack know if it's useful. Mission Statement of the LRDG Preservation Society: To learn as much as possible about the unit, the men in it and the equipment and tactics they used. Then to share that information with all whom wish to learn. 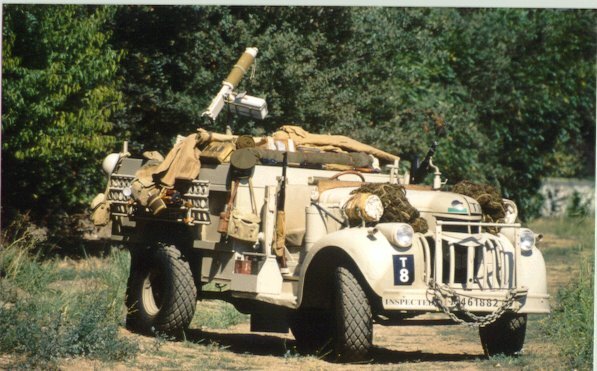 To that end this group has built a replica of a classic WWII LRDG truck (1942 Canadian Chevy, right hand drive, India format) and outfitted it with "historically correct" military equipment, gear, provisions, and uniforms. The vehicle was built by Rick Butler in Yreka California from several vintage trucks and parts from around the world. Converting a left hand drive vehicle to right hand drive was one of many challenges. Well the holidays are finally over. I am late getting this out but naturally have an excuse; I have been busy communication to LRDG family members about their Fathers and Grandfathers that served with the LRDG and that takes up much of my free time. Now I�m getting ready for the upcoming years activities, like last year there are many planned, not sure that we will be able to make them all but they are listed here. I had the jeep serviced and it is just awaiting in the garage for the first event. Like last year the list will encompass both Northern and Southern California. Jerry Finney has taken charge of the Southern part of the state, as Kim has stepped down as the patrol leader. He (Kim) has sold his S.A.S. style jeep to a gentleman in Bakersfield. We were glad that it was not sold out of state. Doug Boales and I are in charge of the Northern part of the state. 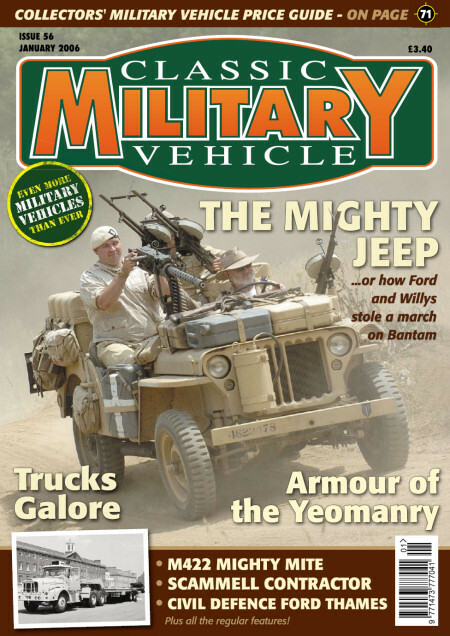 Doug will be bringing T-8 (Truck) to the events and I will be bringing T-12 (Jeep) to those events indicated. As you can see, there will be times when just one or the other may be attending an event. You will notice that a number of events are "pending" as either the date will change or we are waiting for more information. You can always e-mail me at lrdg@Prodigy.net or check out our Facebook page for the latest information and updates. Sorry I'm late posting this year's newsletter, but a lot has been happening. As you saw on my Dec. 9th posting that I lost my very dear friend Rick Butler. At the same time I had been experiencing some serious health problems that the doctor's took their time in diagnosing. After going through a battery of test; from Sept to Dec. they finally decided that what I need was a 'pacemaker/defibrillator, which was placed on Jan. 9th. I am recovering nicely and can't tell you how much better that I am now feeling. Amazing what a small device can do to keep the heart ticking on a regular basis. I have compiled a list of events for this coming year, encompassing both Northern and Southern California. Kim Calvert and Jerry Finney are in charge of the Southern part of the state, Doug Boles and I are in charge of the Northern part of the state. Doug will be bringing T-8 (Truck) to the events and I will be bringing T-12 (Jeep) to those events indicated. As you can see, there will be times when just one or the other will be attending an event. I usually have good news and report with some photos of this year's events. 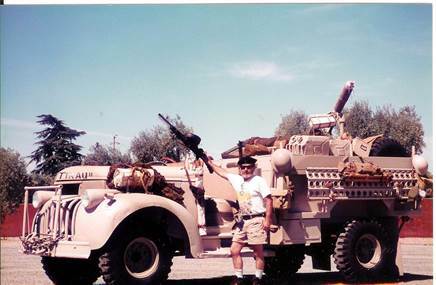 But on this date I lost one of my best friends; Rick Butler, who succumbed to my wishes in building a LRDG truck, as passed away. I have known him longer than I have been married (50 years); in fact he was the best man at our wedding. If you look at some of the photos on these many pages you will find him and me at some of the many events that we participated in over these years. Over these past few years his health had deteriorated to the point where he was unable to bring the truck to any events. It was one of the deciding factors in my decision to donate the T-8 truck to the Eagle Field Foundation (which was accomplished this November). I will post some upcoming events a little later. Photo above is from WWII LRDG vet "Titch Cave" who now lives in South Africa. See more photos from Titch under "WWII LRDG units in the field" section. This is like being in a dust storm on the mars (very fine soot blowing 50mph plus, yellow or reddish haze\fog) that can last for several days. Sometime it will rain mud too. Actually there's a positive in that the fine silt covers everything and kills misquotes, "nature's insecticide".